El Castillo Los Realejos is a fortified building dating from 1862 and was built by a Spanish nobleman called Luis Pablo Felipe Renshaw. It is therefore sometimes known as El Castillo San Felipe and can be confused with the actual building of this name, which is a small fortification on the shoreline at Puerto de La Cruz. 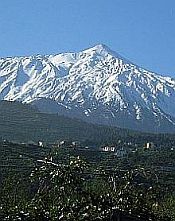 It is set in gardens with an area of some 5,000 square metres, packed with vegetation and large trees arranged on terraces. Also outside the actual building is a huge marquee that can accommodate 250 people for various communal gatherings. Inside, the Castle houses the Parque Museo, which is a Museum dedicated to the history of the Canary Islands. The whole interior of the castle is decorated in lavish, opulent style, with many rooms, both large and small. There is a fine restaurant, seating up to 40 people, plus a lounge area. 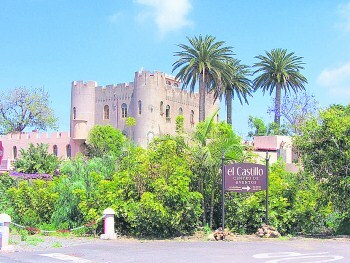 El Castillo Los Realejos offers itself as a venue for a variety of activities. Currently, it is the home to Melolas, a series of intimate chamber concerts of Baroque music. Audience members are treated to a wine tasting provided by one of the bodegas from the surrounding area and this may be accompanied by a selection of tapas. Another popular use for this venue is weddings! They are ideally equipped to deal with wedding receptions, plus, if necessary, being able to conduct the actual ceremony there too, with a room being set up specifically for this. It is accessed from the TF-5 north motorway. You exit at junction 39. If you're coming from the west, you have to get onto the bridge that crosses the motorway. You'll then come to a roundabout, where you should keep straight on. El Castillo will then be visible on your right. There is wheelchair access and ample parking.